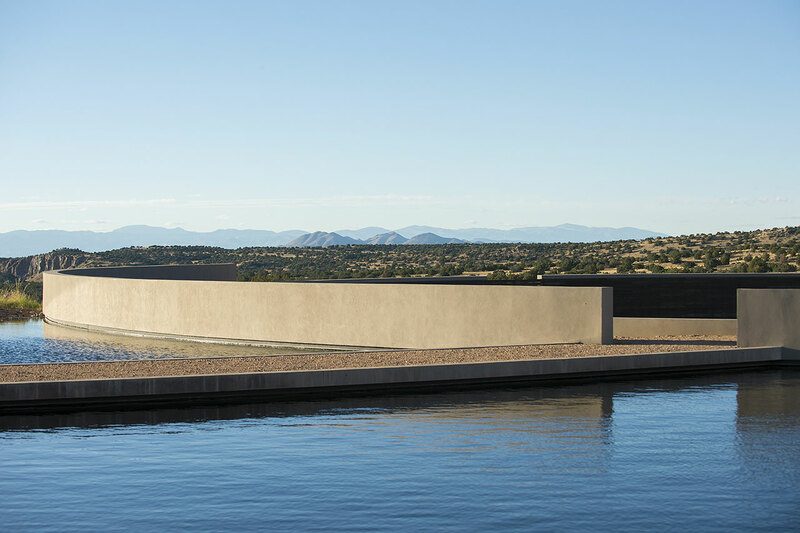 It’s no secret that Tom Ford, the exacting designer under whose watch Gucci’s monogram became synonymous with pubic topiaries, is a fan of clean lines and considered design. 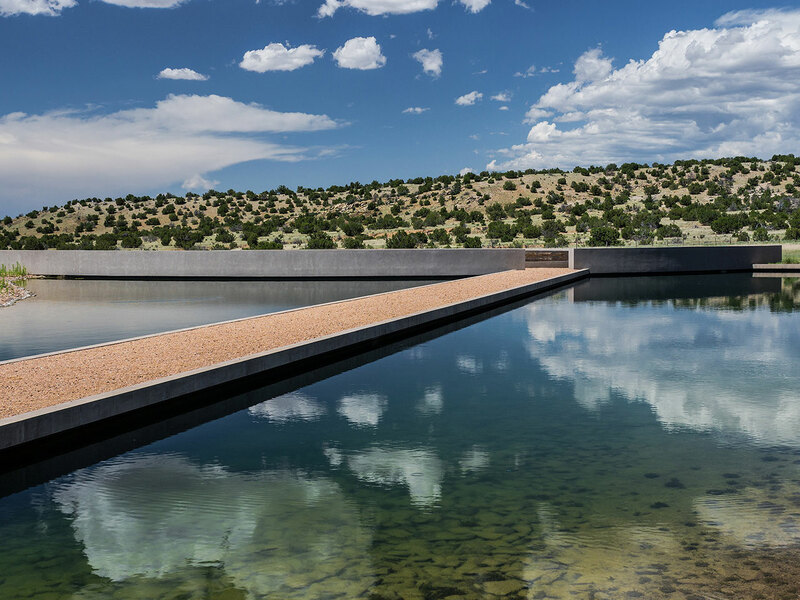 What is surprising then is that he has decided to part ways with his Tadao Ando designed Santa Fe ranch estate, a minimalist oasis on a mountain in the Galesteo Basin of New Mexico. 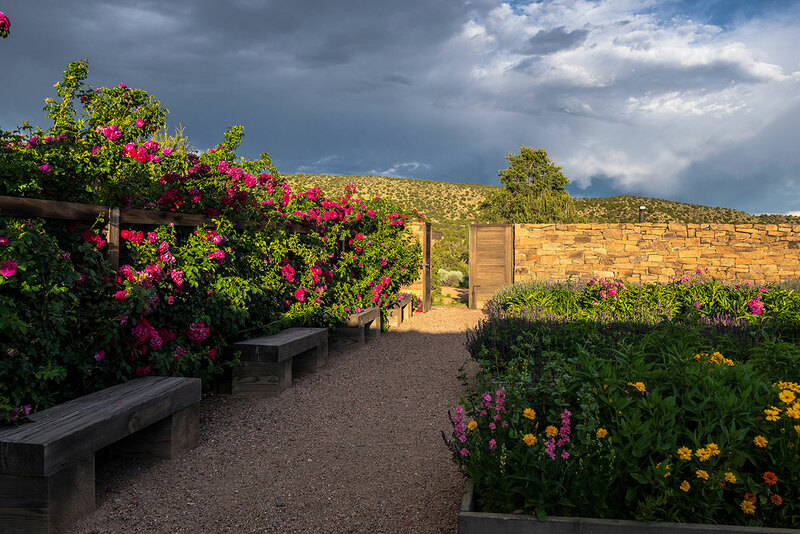 Cerro Pelon Ranch – which I think literally translates to something resembling ‘Tough Mountain’ – has been put on the market. 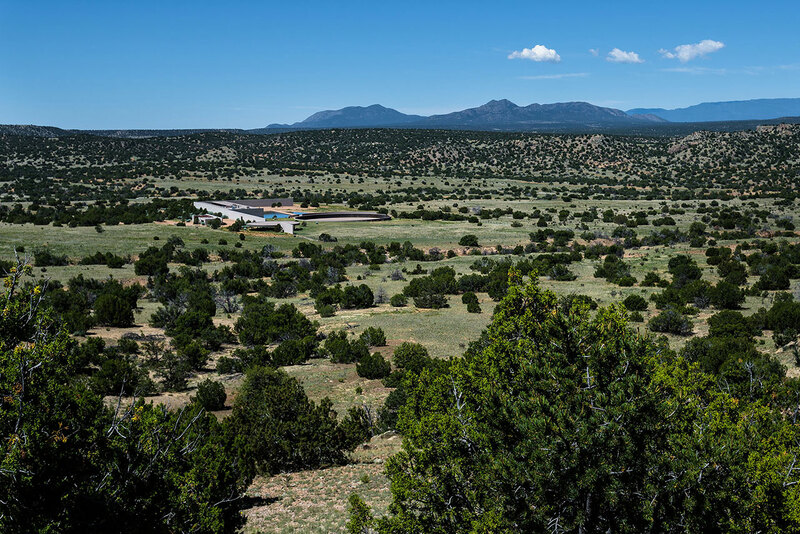 The ranch is located half an hours drive from Sante Fe, New Mexico, on 20,662 acres – a landmass comparable to the entirety of Manhattan island, and some of Brooklyn – encompassing Cerro Pelon Mountain, grazing pastures, a cattle ranch, old mines and pueblo ruins. 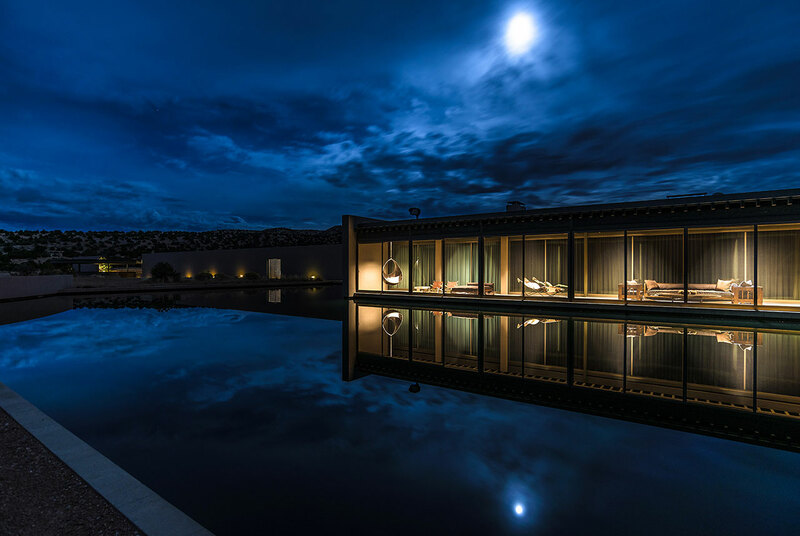 The property itself was personally designed by the eminent Japanese architect, whose work is synonymous with hard concrete lines, abundant natural light and sweeping structures that defy earthly categorisation. 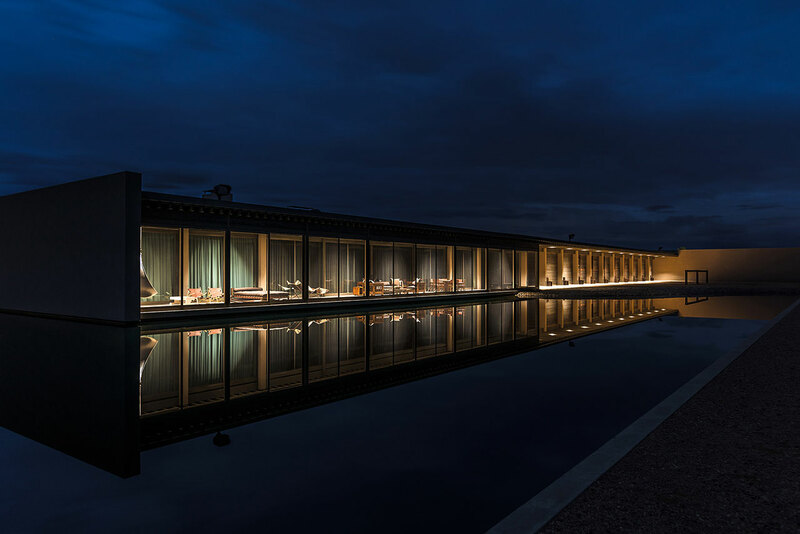 Ando designed two private compounds with Ford and his partner Richard Buckley, whose main residence is surrounded by a reflecting pool adjoining an eight stall horse stable. 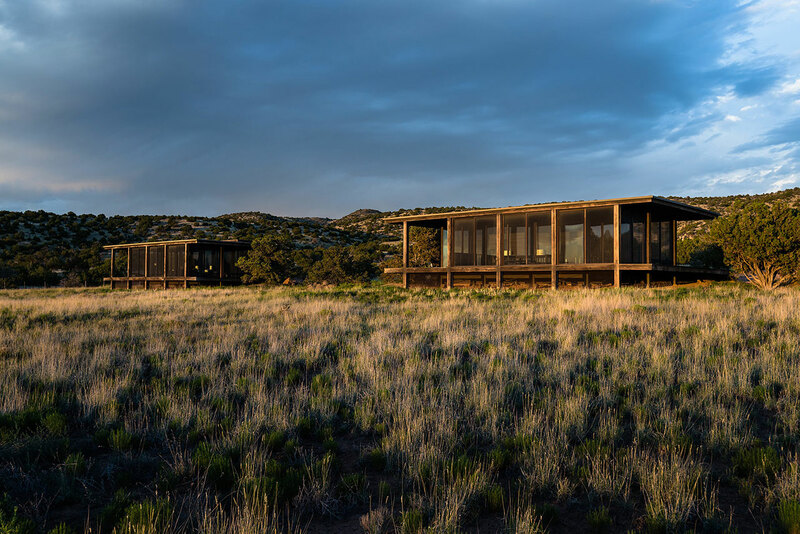 A further staff residence of four separate quarters, a separate ranch manager’s headquarters and two private guest houses are also included in the compound, as are multiple warehouses, an air strip and an aircraft hanger. 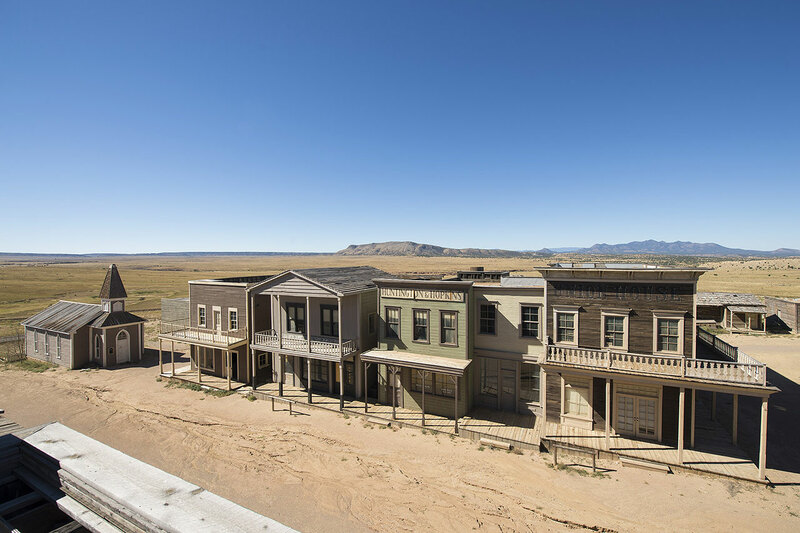 Furthermore, the property is also home to Silverado, a Western movie set built in 1985 for a film of the same name. 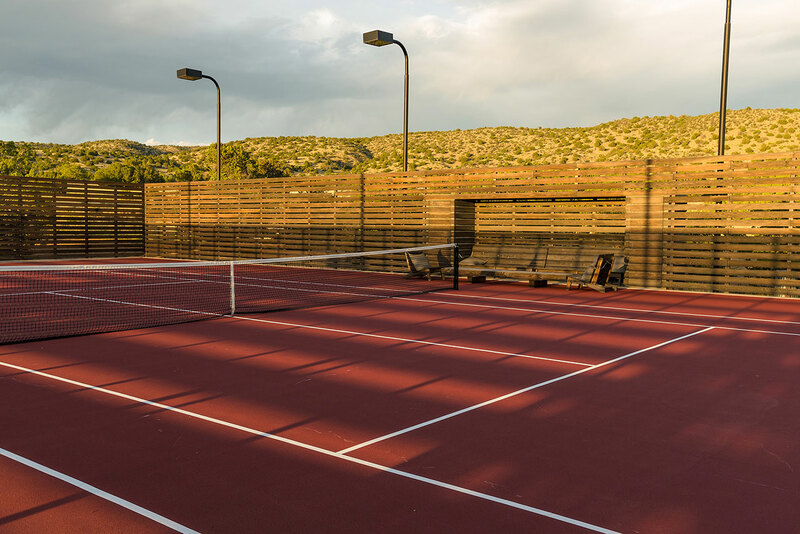 According to the real estate agent charged with selling the property, town has since been expanded and updated. The buildings are no longer street facades, but are usable structures. 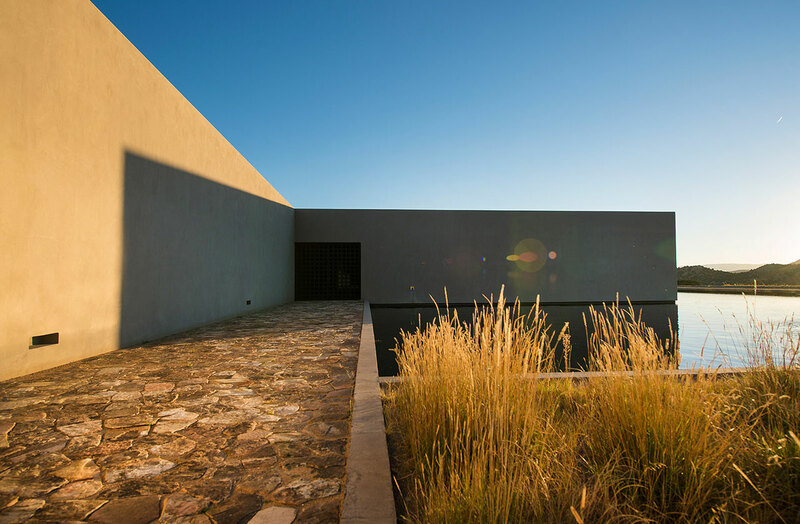 The property also comes with full architectural plans and scale models designed by Ando for another residential compound to be built on the highest point of the ranch. 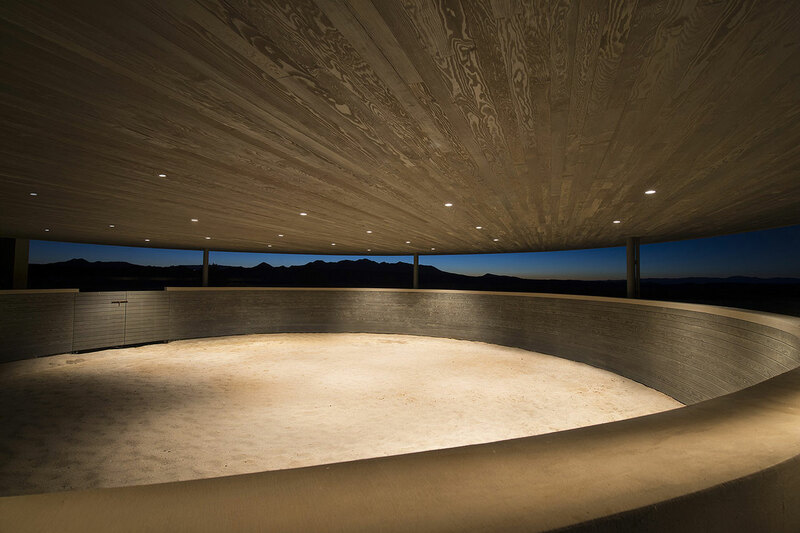 Cerro Pelon could be yours for a very chill $98 million. Please direct all serious expressions of interest to Kevin Bobolosky here.